All the stamps, ink, paper, and accessories to create projects like cards, journals, décor, and more! It’s so easy to get started. Click HERE!!!! 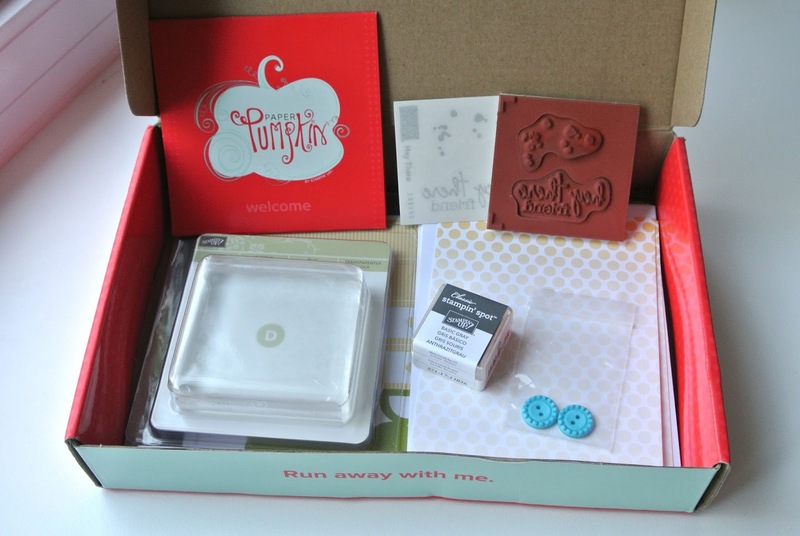 Sign up for your monthly Paper Pumpkin by visiting My Paper Pumpkin website ! Save up to $2 per month! 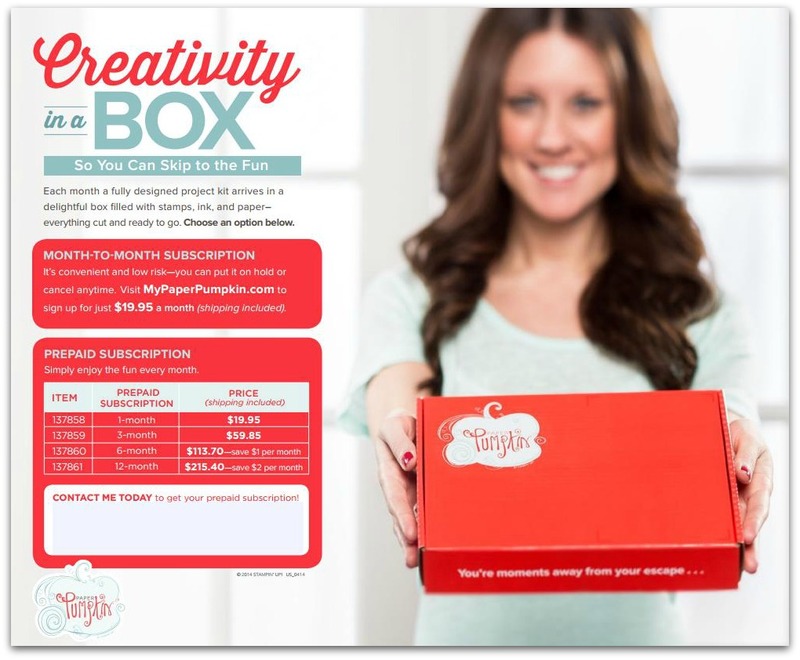 Pre-Paid subscriptions count toward workshop orders, so you can earn FREE hostess merchandise!